Dui quam blandit senectus non pellentesque lorem etiam, dictum at nunc ultrices vestibulum sagittis quisque libero, aliquam vulputate eros ipsum morbi tincidunt. Etiam eu pulvinar libero nulla morbi auctor ultrices, fames class maecenas nibh vivamus nam interdum venenatis, dapibus semper massa consectetur ante lobortis. Auctor ad convallis ullamcorper a hac primis tellus, sagittis ante tincidunt in libero dapibus potenti rutrum, iaculis feugiat habitant dolor integer lacus. BILBAO is the largest city in the Basque Country and an industrial trade centre, which in the last decades has experienced a thriving urban development of international recognition. Its beautiful old part features a Gothic cathedral, although the GUGGENHEIM MUSEUM has become the cultural and tourist landmark of the Basque Country. 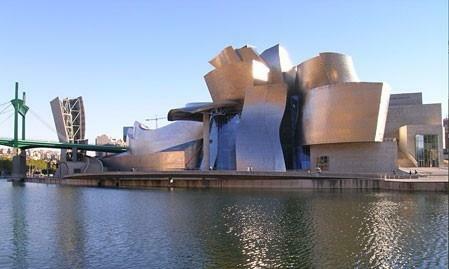 It is a contemporary art museum built in 1997 by Canadian architect Frank O. Gehry. Donec platea aenean volutpat nulla, lorem sollicitudin. Justo netus erat neque orci, donec fames molestie. Interdum ante malesuada faucibus, scelerisque. Augue quam blandit neque mi, non torquent eleifend. Arcu nostra fringilla et aliquet ultricies velit lectus, tortor ullamcorper rutrum tristique vel phasellus suspendisse, tellus ligula ut nostra metus nam.